Honestly, I’m not a huge connoisseur of the air waves in our nation, but occasionally there are those days when I rush out the door without my iPod and I have to suffer the pain that is radio. Recently, with my hectic schedule, this has happened more and more, so it left me to ponder why on Earth some bands still get ready play, and more so, some certain songs. I thought of my top five, and while some are song specific, others just need to leave the airwaves in general. So last Thursday pretty much everyone in town was over at Stubb’s for the sold out Phoenix show right? Well we weren’t… but our awesome photo lady Jennifer Murtha was there! She spent the night enjoying some jams and taking some super fancy photos. Follow the jump for some pictures of Phoenix and Two Door Cinema Club at Stubbs. Hopefully you were paying attention a few months ago when tickets went on sale for the Phoenix show at Stubbs since it’s now sold out. Don’t give up hope though… You can always try craigslist or scalping from shady fools outside the venue. Opening support will be provided by Two Door Cinema Club. Also stick around after Phoenix wraps up their show for a set on the inside stage by locals The Laughing. California’s The Morning Benders (though they claim NYC now) have been flying under the indie radar until recently. They’ve put out multiple releases, but the hype seems to have finally brought the band to the forefront with Big Echo. A lot of this will be due to the production credits being given to Grizzly Bear‘s Chris Taylor. While you can definitely feel the touches of Taylor, especially in guitar and bass sounds, The Morning Benders seem to have grown into their own sound. Remember how Phoenix opened up Wolfgang Amadeus Phoenix with its two best tracks? 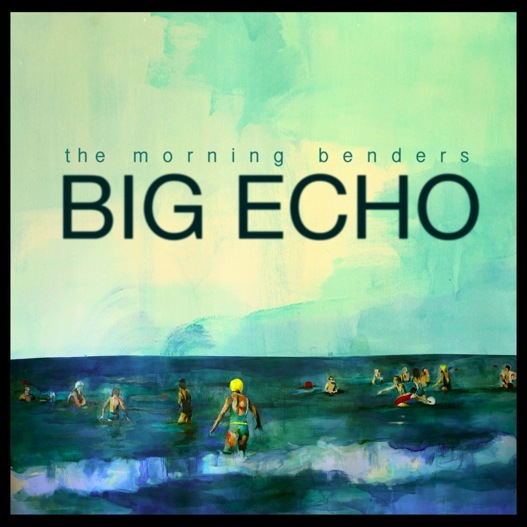 Well, The Morning Benders seem to be applying that strategy to this album, and these opening numbers are blissful moments you won’t soon forget. “Excuses” begins the album with a little bit of tinkering on the piano while some beach guitar washes over the song like waves. All this arrives prior to the sweeping vocals being introduced along with the atypical percussion (not necessarily drums, but still percussion). Mid-song, they seem to do a bit of meandering, but once again, the band kicks in at the 3 minute mark with that percussion and creative bliss. They’ll follow this up with “Promises,” one of the songs that definitely resembles the work of the producer. That bass and guitar sound definitely hit at the heart of Grizzly Bear, but The Morning Benders make it their own by coating the tune in a wash of pop. Also, the vocals are not as pristine as Droste’s, which actually make a more compelling statement of musical prowess. If you were to find a detractor to this collection of songs, you’ll find that it hits really hard up front, offering two brilliant songs, but then it kind of takes a step back. Instead of pushing forward with their California avant-indie pop moments, they recline. They trade the vibrant noises they began the album with for a set of bedroom moments, such as “Bedroom Sighs.” It’s an aptly named song, as you definitely feel as if the band has relaxed, wavering just a bit. The end of the song does have sort of climactic moment near the end, but it just sort of loses the punch of the earlier moments of brilliance. “Mason Jar” is similar, as the music is less movement oriented, choosing to push the focus on the vocal melody. These aren’t necessarily bad moments by any means, it just lends the record to remaining a bit unbalanced. However, “All Day Day Light” definitely kicks the album back into gear. You’ll find it as one of the more inspired moments on the latter half of the record, and it seems like the band could have employed a little bit different track-listing to balance out the power of tunes like this with the quieter moments. All that being said, this number really shows you that the band is able to move beyond the producer. It’s filled with energy, not to mention a little bit of sonic noise that shows The Morning Benders have a creative talent all their own. And so Big Echo comes to a slow end with “Sleepin In,” another bedroom listen. Although at times the record seems a bit unbalanced, it’s clear that The Morning Benders are more than just a masterwork of Chris Taylor. They have a different spin on their own creation of pop, leaving the listener with a lot more bright moments. Even the slow songs start to evolve on their own after repeated listens, so stay with this album, as you might have just found yourself a new favorite band to follow, and an collection of songs that will keep you occupied for weeks to come. It looks like the days of us keeping Phoenix in our own little private world are over and getting tickets to one of their shows will be quite the challenge from here on out. Congrats on the fame guys! We of course know you’ve heard about the huge 101x sponsored show with Phoenix, White Denim and Hockey at La Zona Rosa. You probably already know it’s sold out too. You may have even searched craigslist only to find that tickets are scalping for close to $100! That’s just silly. I guess you shouldv’e seen them at ACL. Don’t fret too much kids, I’m sure they’ll be back around sometime. We have to start this list off with a disclaimer. We have three writers, all with different tastes, so the list should reflect that a little bit. Also, these are our opinions, and by no means, are they meant to be seen as an “end all be all” to the question of what were the best songs of 2009. That being said, we like our list quite a bit. Sure, it’s got some expected numbers at the top, but the rest of the list is genius. We’ve got some of the songs streaming for you, and the rest take you straight to youtube. Follow the jump for full list. It’s been a long long time since the essence of cool was brought back by The Strokes. No longer do we have to listen to stagnant rock on the radio, and the indie underground seems to have grown substantially. We owe a great deal of that to Julian Casablancas. His new album Phrazes for the Young creates a certain sense of nostalgia; it makes you look back to those days when it all seemed new and vibrant. Hands down, the first three songs on this record, “Out of the Blue,” “Left and Right in the Dark,” and “11th Dimension,” are all ridiculously good songs. You can say that they have a more pop-centric leaning than most of the work done by Casablancas other band, but you can’t deny that the infections hooks are in abundance on these first three tracks. If you take “11th Dimension” alone, you can see that combining the swagger of The Strokes with the electronic pop of Phoenix packs a huge punch. This is such a killer opening to the album, that it really makes the latter half of the album fall flat on its face before our eyes. Once you get to the last five songs, the pace is gone, and with it, the depth that seemingly existed from the outstart. “Ludlow St.” has sort of a throwback feeling to a summer folk string, almost as if The Beatles have just entered into Julian’s lexicon, while the lyrics are reminiscent of Whitman’s Song of Myself. It’s clever, but it is not a song that will last long in your memory. “River of Brakelights” does sound exactly like some of the more straightforward rock songs that eclipsed the gems that were on First Impression of Earth. Unfortunately, Julian Casablancas has a difficult time as it is differentiating the tones in vocals, and this song makes that all too apparent, which lead to the damage that devours this track. All this seems to head towards the trudgingly slow “Tourist,” a song that is lyrically akin to “Ludlow St.” All the punch is clearly gone at this point, and you can feel your heart sink as the album draws to a close. It’s a shame actually, as the record began with such a promising start that you wanted the entire thing to be successful, but our luck has run out here. 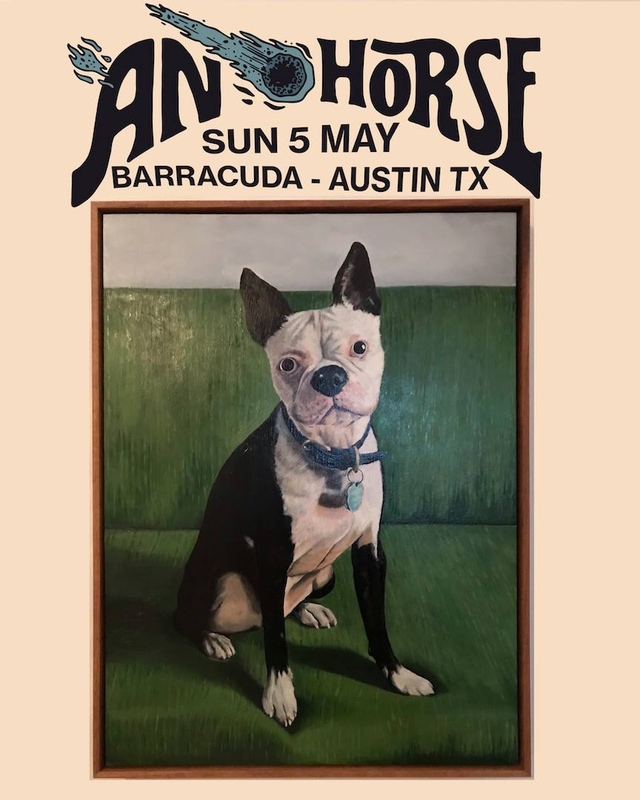 Still, for those die-hard completists, you will find the voice of The Strokes living in a different place, one that at times, is as exciting as we’ve ever heard him. Perhaps such moments make it onto the new work of either of his bands. So we survived the weekend that was the dillo dirt sludge of ACL and we’re ready to provide a bit of reflections from our experience. We’ll start things off with a quick recap of some of our favorite acts from the festival and who impressed us the most. This is only our list and we based it on our time and taste so let us know if you saw something great we forgot about. Follow the jump for our Top 10 acts of ACL. Today we focus on some of the lesser known bands of ACL with an interview spotlighting relatively new Brooklyn band Suckers. We spoke to the man simply known as Pan this week via phone to find out a little bit about this new project. I think you will all be glad to know that Pan is in full support of my Pearl Jam pick for ACL. So there. Follow the jump for full interview.